Each piece is handcrafted from my own original patterns using natural and sustainable materials of the highest quality. 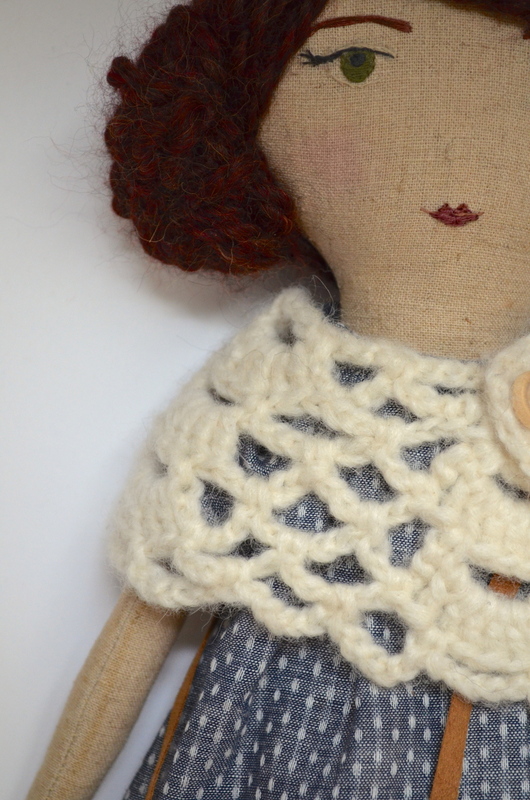 The dolls are constructed from tea stained cotton & linen cloth and 100% wool stuffing. Her cheeks are tinted with natural dyes and her hair is sewn by hand using alpaca fiber. 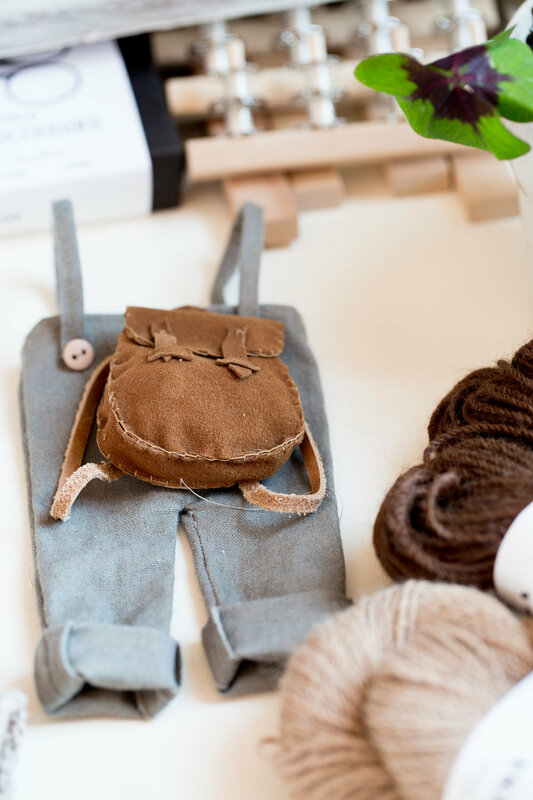 Her features are hand-embroidered with linen thread and button-jointed for mobility with wooden buttons made locally from renewable resources. 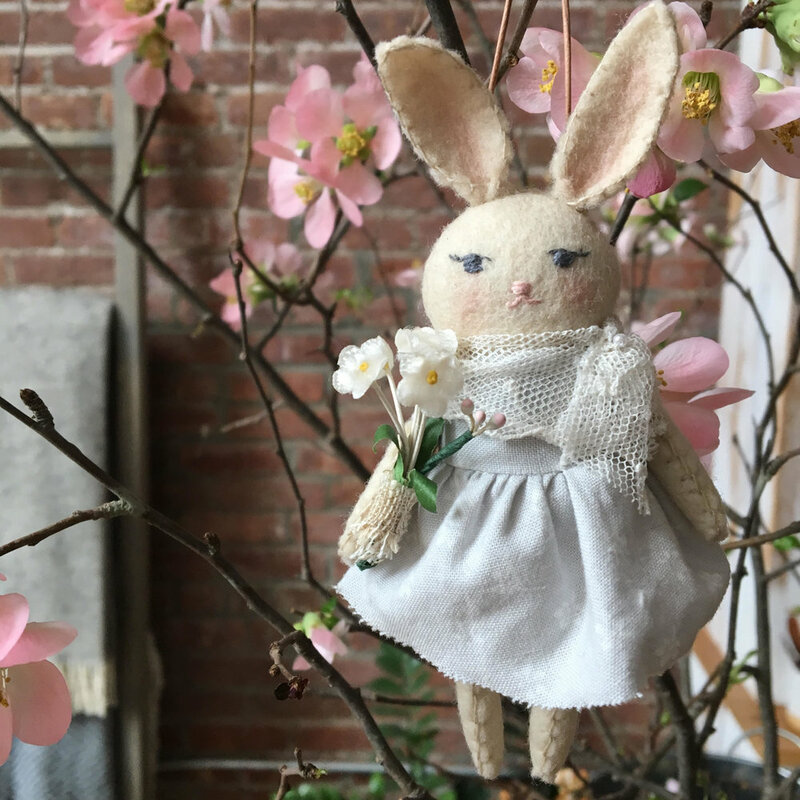 These heirloom dolls are intended as art pieces. They are sturdy enough for gentle play but are not suitable for rough or unsupervised play with small children as they do have small parts. The rabbits, foxes and deer are constructed from high quality 100% wool felt and wool stuffing and the same sustainably made wooden buttons. Rabbits have soft fluffy tails made from soft local alpaca fiber and their ears are tinted with natural dyes. Their faces are hand embroidered with cotton thread. The deer have cozy wool coats that are removable and their legs and antlers are hand stitched with linen thread. Whether young or old, these carefully handcrafted pieces are intended to bring you joy for years to come.